“Shortly after he emerged as the PDP candidate, he has stopped consulting Ekweremadu, Southeast governors and leaders. “The painful thing is that he bowed to pressure from outside the Southeast to pick Obi and he did not care to revert to these leaders and governors on his choice. “For instance, Ekweremadu (the highest ranking political office holder in the Southeast) was not briefed and has not been briefed till today on why Obi was picked. “Yet, it was Ekweremadu who coordinated and delivered the block votes from the Southeast to Atiku at the convention. Another source confirmed that following pressure from his associates and PDP leaders in the Southeast, Ekweremadu has started weighing options on his next step. Investigation revealed that the Deputy President of the Senate has to choose between remaining in PDP or defecting to prove a point that he is a force to reckon with. The third option is to remain in PDP and sabotage Atiku by entering into an alliance with President Muhammadu Buhari on a good deal for the Southeast if he is re-elected. The source added: “From the look of things, it seems there is a conspiracy within PDP to alienate Ekweremadu. “Apart from Atiku, the National Chairman of PDP, Prince Uche Secondus has not deemed it fit to call the Deputy President of the Senate on why Ekweremadu was not invited to the meeting where Obi was nominated. Even after the nomination, Secondus has not met with Ekweremadu on the choice of Obi. “The party and Atiku went ahead to constitute the Presidential Campaign Council without any input from Ekweremadu. This is an insult. “Some powers that be are angry with Ekweremadu for backing Atiku and the same presidential candidate does not care a hoot about Ekweremadu. 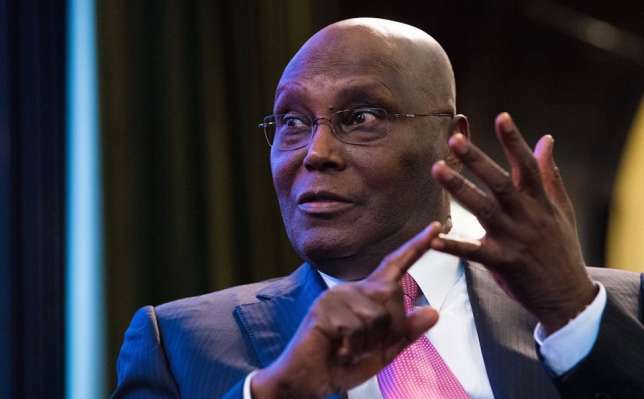 Responding to a question, the source added: “With the choice of Obi, Atiku is going about as if he has the South-East in his pocket. Far from it, the scenario may be different during the presidential election. “Atiku needs to sit down afresh with Ekweremadu and other leaders to win votes from the zone. These are matchmakers in their own right. It was also gathered that Senate President Bukola Saraki, who is the Director -General of the PCC, has waded into the complaints of the Southeast leaders.